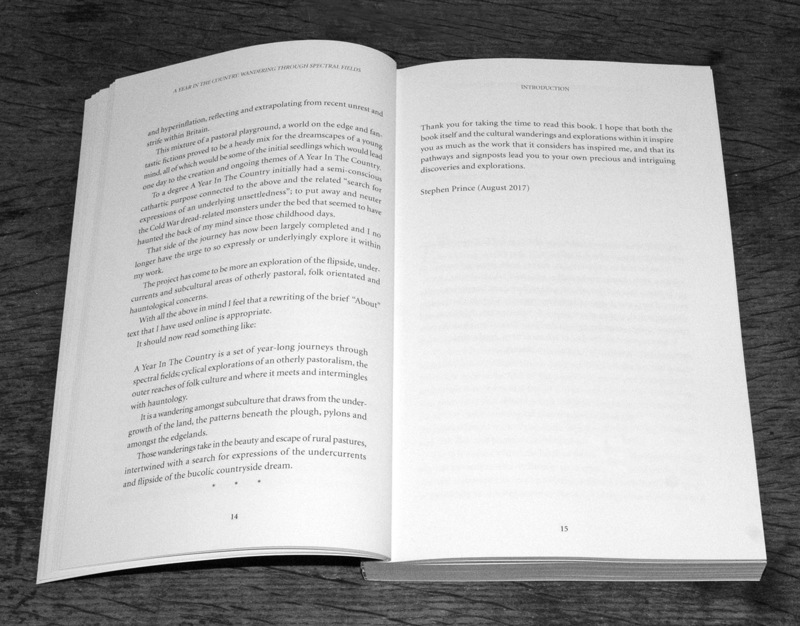 Journeys in Otherly Pastoralism, the Further Reaches of Folk and the Parallel Worlds of Hauntology. Print book preorder 1st March 2018. Released 10th April 2018. Price: £15.95. Preorder available at our Artifacts Shop and Bandcamp page. Ebook released 1st March 2018. Price: £6.95. The print book will also be available via Amazon’s worldwide sites from 10th April 2018. 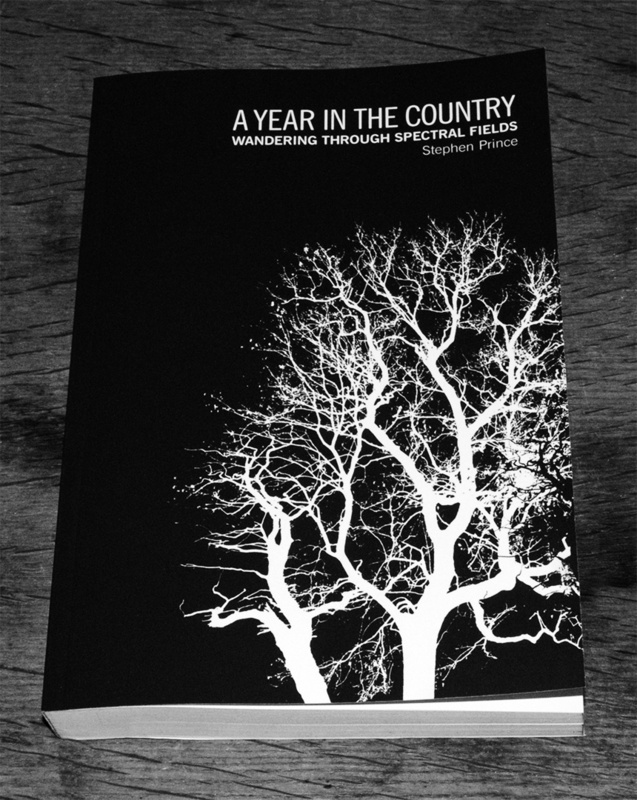 A Year In The Country is a set of year-long journeys through spectral fields; cyclical explorations of an otherly pastoralism, the outer reaches of folk culture and the spectres of hauntology. It is a wandering amongst subculture that draws from the undergrowth of the land. As a project, it has included a website featuring writing, artwork and music which stems from that otherly pastoral/spectral hauntological intertwining, alongside a growing catalogue of album releases. 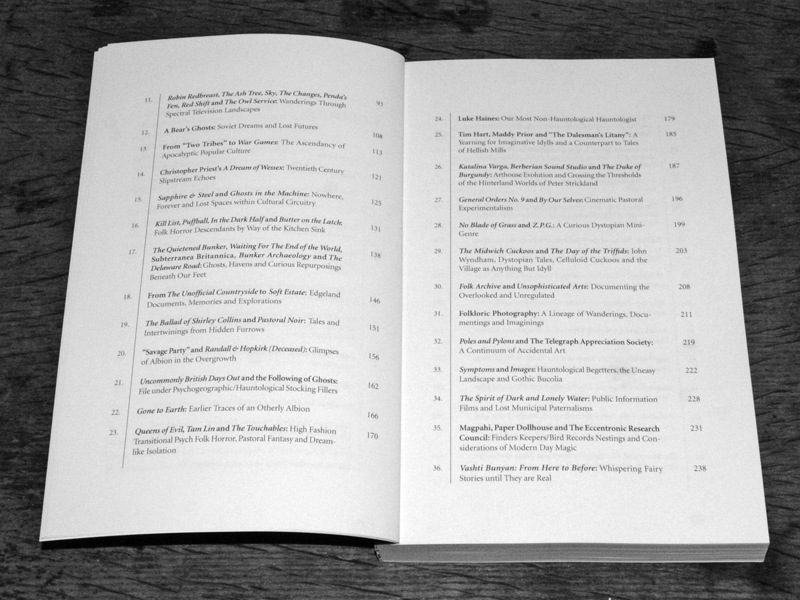 In keeping with the number of weeks in a year, the book is split into 52 chapters which draw together revised writings from the project alongside new journeyings. Connecting layered and, at times, semi-hidden cultural pathways and signposts, it journeys from acid folk to edgelands via electronic music innovators, folkloric film and photography, dreams of lost futures and misremembered televisual tales and transmissions. 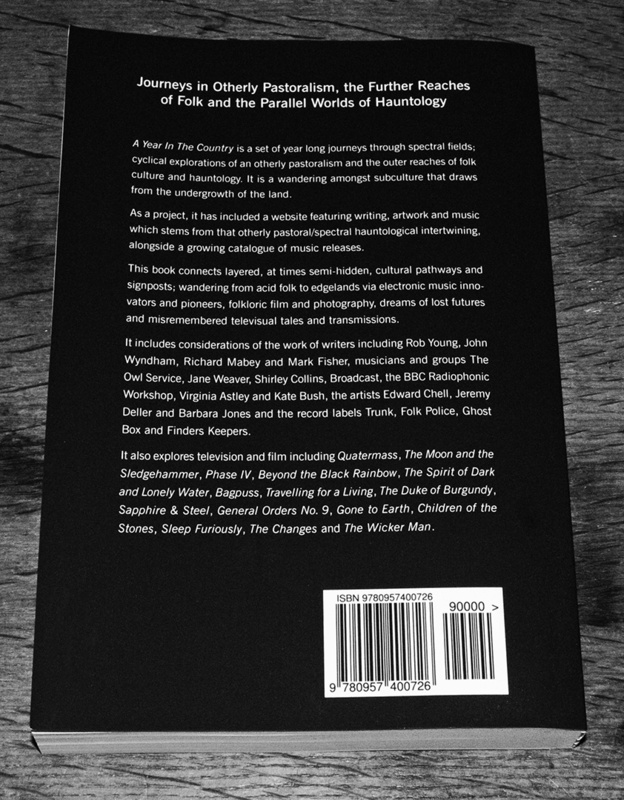 It includes considerations of the work of writers including Rob Young, John Wyndham, Richard Mabey and Mark Fisher, musicians and groups The Owl Service, Jane Weaver, Shirley Collins, Broadcast, the BBC Radiophonic Workshop, Virginia Astley and Kate Bush, the artists Edward Chell, Jeremy Deller and Barbara Jones and the record labels Trunk, Folk Police, Ghost Box and Finders Keepers. 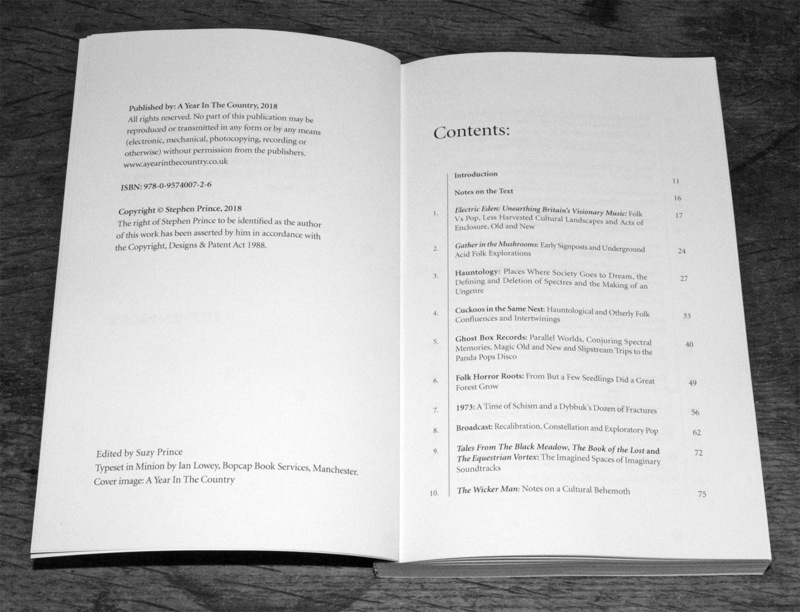 The book also explores television and film including Quatermass, The Moon and the Sledgehammer, Phase IV, Beyond the Black Rainbow, The Spirit of Dark and Lonely Water, Bagpuss, Travelling for a Living, The Duke of Burgundy, Sapphire & Steel, General Orders No. 9, Gone to Earth, The Changes, Children of the Stones, Sleep Furiously and The Wicker Man. The printed book will be available to preorder on 1st March 2018 from the A Year In The Country Artifacts Shop and our Bandcamp page. The ebook version will be available to preorder from 1st March 2018 on Amazon’s various worldwide sites. 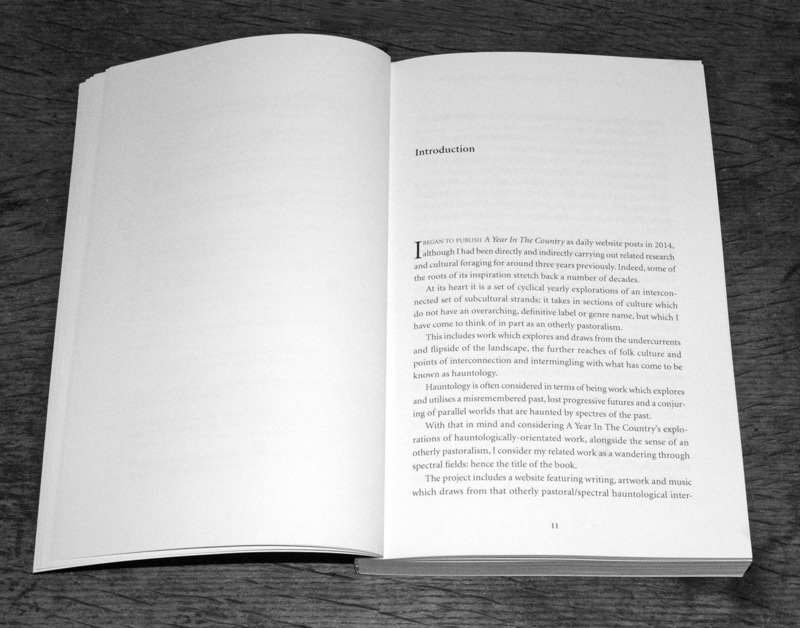 The printed book will also be available to order from 10th April on Amazon’s various worldwide sites. 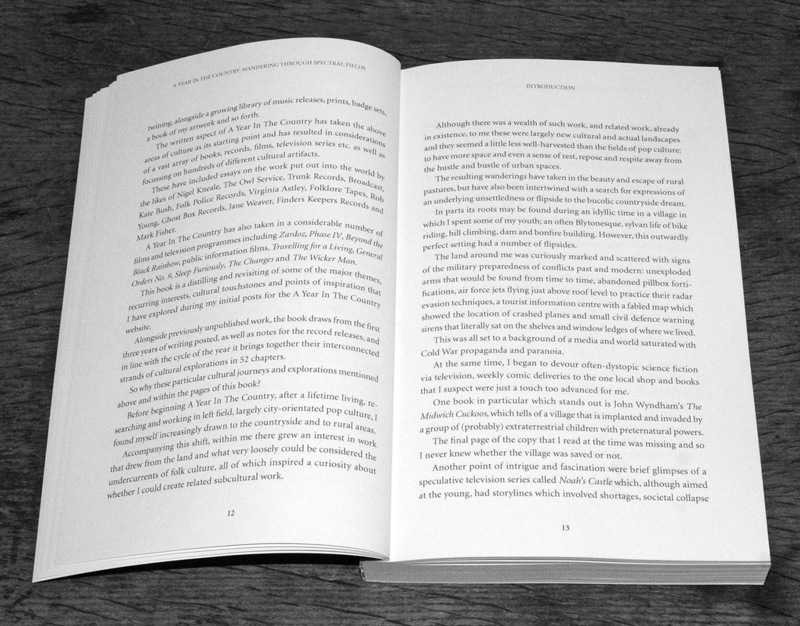 The book has been designed/typeset by Ian Lowey of Bopcap Book Services and edited by Suzy Prince, who are the co-authors of The Graphic Art of The Underground – A Counter-Cultural History. 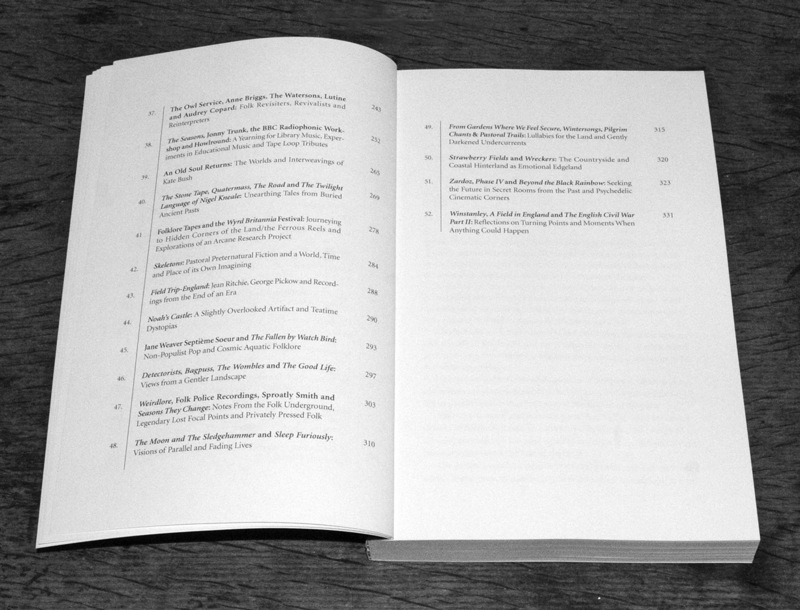 An online “cut out and keep” set of visual accompaniments to the chapters of the book can be visited here and text extracts from the book can be visited here, both of which will build throughout 2018 to include all 52 chapters.